I think I've seen officers in different uniforms but with a similar patch - are they from a different company? What's your relationship like with local police agencies? With gas prices as high as they are, why are you still driving large Fords? Your website mentions proof-of-service - what is it? 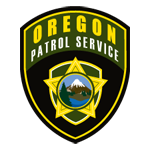 Oregon Patrol Service provides high-quality, value-added private patrol & security services to a broad spectrum of clients across many different industries. We are security patrol & alarm specialists, providing unparalleled flexibility and customization to suit our clients’ needs in the critical area of private security. We know that we bring a new, fresh perspective to the security industry. Let us show you the difference! Please take the time to browse through our site. We are confident you will see why Oregon Patrol Service is leading the way when it comes to private security and patrol & alarm response services. We are fully licensed, certified & insured to provide Private Patrol Service & Alarm Response in Oregon. We serve SE Portland, unincorporated Clackamas County, Milwaukie, Gladstone, Happy Valley, Oregon City and many other cities.